Jump to the end of this tutorial to learn about the different types of assessments you can run through the PCT Analyzer as well. The first use of the Prosci PCT Model is simply to provide definition and context. Leadership/sponsorship provides the governance and direction that an initiative needs. Project management provides the approach and activities required for the technical side of the project or initiative. Change management provides structure for the people side of the effort, encouraging employees to embrace and adopt a change to their work. The model shows each of these elements independently and also provides a foundation for understanding the relationships between the corners. The model enables you to define the governance and direction component of a project, the technical component of a project and the people side component of a project, and it shows that all three elements must be in place for a project or initiative to deliver results. How well have we defined the objectives of the project? Does the project have the necessary leadership/sponsorship in place? Are we adequately addressing the technical side aspects with project management? Are we bringing a structured and intentional approach to ensuring the change is adopted and utilized with change management? Focus has a second dimension related to problem solving. During the lifecycle of a project or initiative, there will certainly be issues and challenges. The Prosci PCT Model is a powerful framework for trouble shooting and investigating why a project is struggling. The Prosci PCT Model is the foundation of the Prosci PCT Analyzer, a simple instrument for evaluating each corner of the triangle. The Analyzer provides 10 factors in each of the three corners. When you complete an assessment with the Analyzer, you have scores for all 30 factors, as well as an overall score for leadership/sponsorship, project management and change management. These scores show you which element of your project (and even which individual factors) are a strength, a risk area or a jeopardy area. The assessment enables you to understand the health of your efforts in every project area. It provides quantitative measures of the positioning and health of a project, and the flexibility to assess and track project health with different groups over time. There is no reason to assess for the sake of assessing. The real value of the Prosci PCT Analyzer is that it gives you action steps to improve the performance of a project or initiative. Do you need more focus at the top? Do you need to apply more rigor to the technical side of the project? Do you need to increase the focus on the people side of the initiative? By completing assessments in intervals throughout the project, you can track project health over time and keep your project focused and successful. The single assessment is the most simple. You complete the assessment for a project based on your current understanding of the situation. Keep in mind that the timing for the assessment is important to consider, as an assessment early in the project lifecycle might produce different results than an assessment completed just before go-live. A single assessment will create overall scores for each of the three areas: leadership/sponsorship, project management and change management. It will show you if any of the three areas have a risk or jeopardy status. Second, the factors that you score a 1 on are listed as risk factors, providing you with action steps to help you improve the project. The PCT Analyzer produces quantitative outputs for group assessments and creates averages in addition to individual survey results. In addition to the scores for each individual assessment, you can also arrive at averages, maximums and minimums and risk factors for each of the three corners. The screenshot from the PCT Analyzer below shows the assessment scores from five members of the project team. 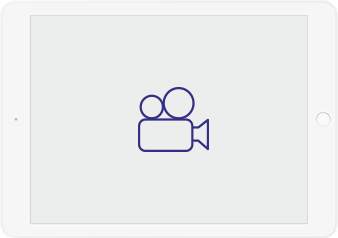 Instead of a single view of the project, you now have perspectives to compare. Where does the group have a common view? Where are the differences of opinion? What might have resulted in the differences? Discussing how a project is performing and what is required for a project can be difficult. The overall framework of the Prosci PCT Model, the specific factors in the assessment and the resulting outcomes all lay the foundation for more intelligent conversations about project health and where efforts should be focused to improve project performance. Whether your team’s discussion is about why scores are different or what is causing a pattern in the scores, the discussions can now take place thanks to the framework of the PCT Analyzer and its assessments. Many teams are able to discover problems and solutions when they focus conversations on how the project is performing, and the PCT assessment and the data from the PCT Analyzer gives rise to the discussion. Even if scores start out fairly divergent, the resulting common terminology and discussion drives the project team toward action. The exercise of reviewing scores, validating assumptions and evaluating average scores results in a team mobilized for action. To utilize the PCT Analyzer over the lifecycle of the project, you simply need to conduct the assessment at numerous points in time. The first time you conduct an assessment serves as a baseline. After that, you may choose to conduct an assessment based on time intervals (such as once a month) or based on key points in time for the project (at a particular gate in the process, or relative to key events such as system testing, training or go-live). By conducting a PCT assessment at multiple points along the project lifecycle, you can evaluate if your efforts are effective. For instance, if change management overall scores low in your first assessment, you may dedicate some resources and time to addressing the people side of change, and a subsequent PCT assessment will indicate if your work is delivering results. Alternatively, you may find that one factor in particular scores a 1. After working with the project team to define objectives, you can use the subsequent assessment results to see if you have solidified this factor. Running assessments across the organization requires you to collect PCT assessment data from multiple projects or initiatives underway. You may conduct the assessments yourself on the numerous projects you support, or you may work with each project team to collect the data on their project. Evaluating the results from multiple projects provides powerful insights for the organization as a whole. The first important output is simply having the assessment data for each of the projects. This means that the Prosci PCT Model is being applied on more than a single instance to evaluate and improve the performance of the projects and initiatives underway. A second output gives insight into the organization's overall approach to projects. In comparing numerous projects, you may start to identify typical PCT scores for projects in the organization. You might also identify organizational gaps or competencies. If you look at five projects and the leadership/sponsorship scores are generally high, then this is likely a competency in the organization. Conversely, if the change management scores are generally low across the five projects, then this is likely a gap or deficiency that needs to be addressed from an organizational or enterprise perspective. Prosci's PCT Model and PCT Analyzer provide a simple but powerful approach to evaluating the health of a project or initiative and provide a framework and instrument for understanding how a project is performing and where you need to focus attention. Simply having a single frame of reference with common language allows the project team to focus on improving performance rather than wading through generic and untargeted conversations. With the Analyzer, a quantitative evaluation can be completed both with groups and over time to drive more successful outcomes of projects and initiatives. It provides a web-based tool for collecting and analyzing assessment data, and the extensive knowledge base supports customized reporting driven by your assessment results. 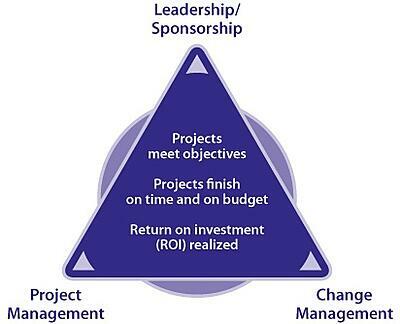 Prosci PCT™ Model is a simple but powerful framework for the three elements of successful change: leadership/sponsorship, project management and change management.In this webinar you will learn how to assess the health of your project, identify root causes of problems, and create action steps to realize the desired results and outcomes of change.